Sound Stage sets the standard in defining, engineering, building, installing and maintaining complete Video Communication and Audio Visual Collaborative Solutions for Corporate, Healthcare, Education and House of Worship Facilities. Sound Stage has been providing cutting edge commercial enterprise solutions in the Orlando, Florida area for over 30 years. From automated room systems, including lighting and shades to high definition video conferencing systems, we integrate the latest, user friendly, collaboration system technologies. An area of expertise, and passion, of ours is the performance theatre and house of worship spaces. 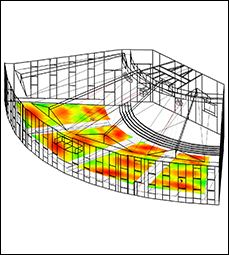 From acoustical engineering, theatrical lighting, theatrical design, sound systems and video walls, the live venue space really exercises and energizes our creative minds. Does this integrator specialize in Commercial Audio Visual Systems? The infrastructure of commercial audio video is very different than that of Home Theater. The technical skill set and recommended training tracks of home theatre installation are not interchangeable with corporate audio visual. Will my installation be performed by staffed talent or will it be subcontracted? Staffing our own talent takes away the unknowns of what someone knows. We know our people, where their strengths lie, what trainings/certifications they hold and how best to foster their growth. Empowering our staff with the best education & support we can gives them such confidence and pride in their work. Win for them, win for us, WIN for our clients! Will my system be programmed by someone certified in the control system we have chosen? 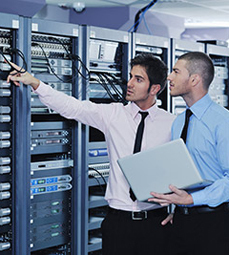 Our staff includes AMX Solutions Master & Crestron Master programmers. 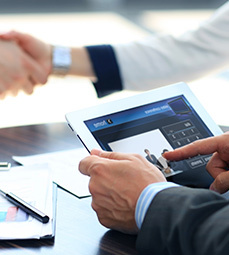 Our mission is to create a team relationship with our clients. Combining the needs of the client with our extraordinary expertise ensures each audio visual system is precisely designed and engineered. We are completely committed to our projects from design to longevity. We are featured in a fantastic article about the NSCA Ignite program. Exciting, guiding and leading the next generation of AV Leaders is so very important for our industry. 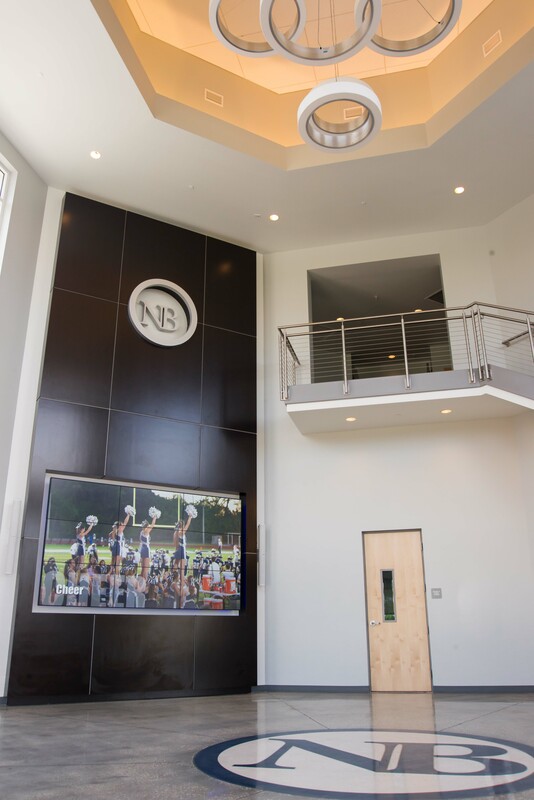 North Broward Preparatory School recently opened a state of the art Global Wellness Center. Sound Stage was honored to have been chosen to be their Audio Visual partner. 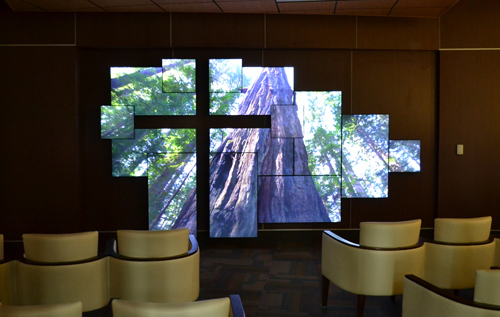 The lobby of this impressive space features a 3x3 Video Wall made up of nine 46" NEC displays. The video wall can be used for digital signage, messaging and wireless presentation. Utilizing Crestron AirMedia, audio and video content can be shared from any wireless device to the video wall and/or the integrated gymnasium audio visual system. The transition has begun. 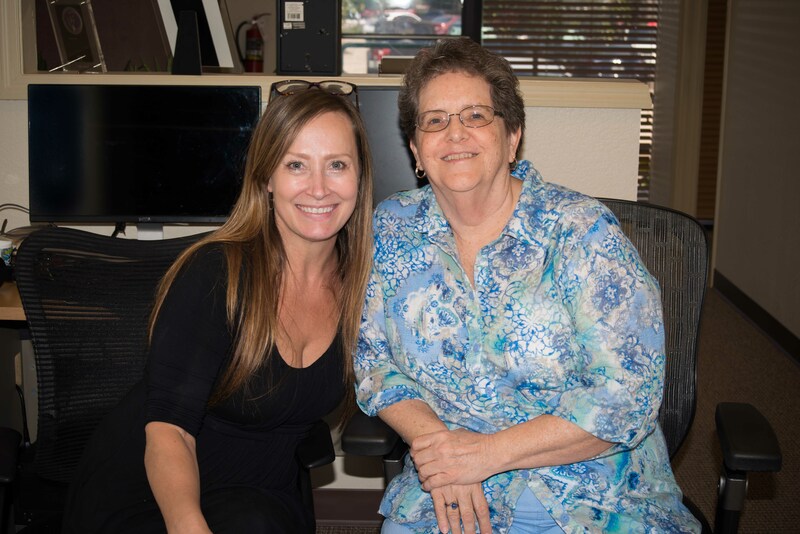 After 11 years it is soon time to say "enjoy retirement" to our Office Manager, Sandy Basford. We would to welcome, and introduce Julie Wheaton. Julie will become our new bookkeeper/accounts payable gal. Julie and Sandy are getting a lot of quality time together training and learning our processes. Again welcome to Julie, we're sorry we are all nuts! But we're fun so it's ok! 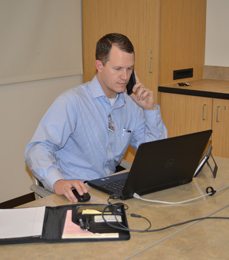 Operations Manager, Andrew McClelland, Named One of Commerical Integrator's 40 Under Forty Influencers! We are very proud to announce our own Andy McClelland has made this prestigious list of movers and shakers in our industry. Wanted to share an article Planar Systems has written about the rising trend in digital signage, featuring our Florida Hospital Wesley Chapel installation. Check out our gear deals on eBay!